EQUS Computerized Steam Autoclave TEV-17 Series of Medical Device Division received Taiwan Excellence Awards. Tex Year was certified to ISO 9001:2015、ISO 14001:2015 and OHSAS 18001:2007. The 5th construction work of the Taoyuan factory was started. Tex Year Technology (Jiangsu) Co., Ltd. was certified to ISO 9001:2015 and ISO 14001:2015. Tex Year Medical Device Division officially got the authorized distribution right for dental products from 3M, American overseas company, for Taoyuan, Hsinchu and Miaoli region on May 1st. The local Mayer and the government staffs were invited to the opening ceremony on JUL. 26th. The 40th anniversary cocktail party and the business exhibition will be held on AUG. 5th. Tex Year issued the guaranteed convertible bonds (CB) first time on NOV. 14th. The new pelletize equipment pilot run of Tex Year Industrial Adhesive Pvt. Ltd. was successfully run. Medical Device Division participated in International Dental Show Cologne in Germany (IDS). Tex Year Fine Chemical (Guangzhou) Co., Ltd. received occupational health enterprise certificate from Guangzhou government. Enrolled in TATT as the honorable member. Officially stock listed in TWSE from the OTC listed status. Autoclave TAT-203 Venus Series acquired UL certificate. Autoclave TEV-17 Mercury Series acquired CE certificate. Tex Year EUROPE Sp. z o.o. was officially registered in AUG. 2015. Wuxi More Tex Technology Co., Ltd awarded Wuxi municipal labor and social security credit enterprise. Tex Year Fine Chemical (Guangzhou) Co., Ltd. received Cleaner production enterprise certificate from Guangzhou government. Tex Year Fine Chemical (Guangzhou) Co., Ltd. passed the annual verification of China Environmental Labeling Certificate. Tex Year Fine Chemical (Guangzhou) Co., Ltd. approved the green channel of processing trade contract company and became a VIP company of Customs. Tex Year was certified to ISO 14001. 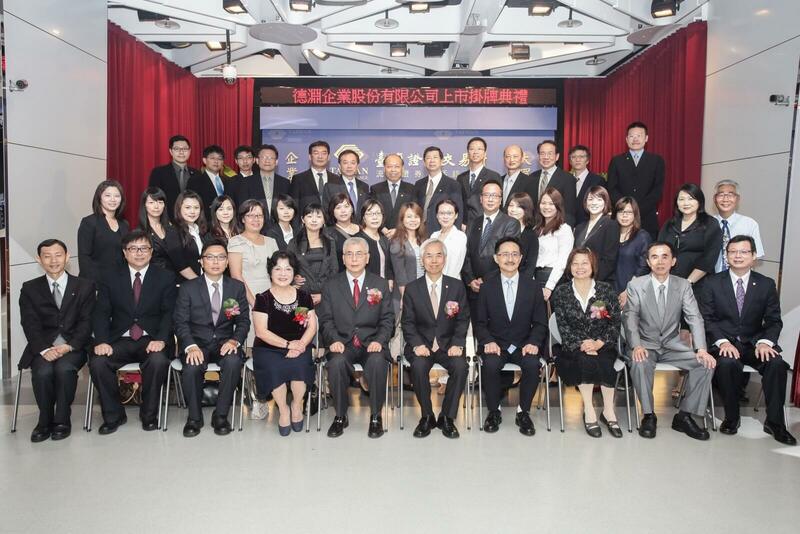 Awarded the Silver Hart Prize from Labor Affairs Department, New Taipei City Government. Awarded the Silver Level of Enterprise Version (Certificate of Talent Quality- management System TTQS) from Workforce Development Agency, Ministry of Labor. EQUS Computerized Pulse Vacuum Autoclave Venus (TAT-203C) of the Medical Device Division won 2015 Taiwan Excellence Award from Ministry of Economic Affairs. Autoclave product (Equs TAT-202) of the Medical Device Division was awarded Taiwan Excellence Awards. Tex Year Fine Chemical (Guangzhou) Co., Ltd. was elected as the board of director of CATIA and the member of hot melt adhesive committee. Tex Year Fine Chemical (Guangzhou) Co., Ltd. and Wuxi More Tex Co., Ltd both passed the annual verification of China Environmental Labeling Certificate. Tex Year Fine Chemical (Guangzhou) Co., Ltd. qualified as the “Prestigious Logo in Guanzho City” with “HOTMELT®”. The Medical Device Division certificated by GMP. The medical use steam sterilizer we made does get the European CE and EN-13060 B Class certification in order to be sold in the EU countries. Tex Year Fine Chemical (Guangzhou) Co., Ltd. Passed New and High Technology Enterprises Examination in Guandong. Wuxi MoreTex was elected as Wuxi HMA Engineering Research Center for qualification. Acquisition of the Enterprise Version Sliver of Bureau of Employment and Vocational Training Council of Labor Affairs, Executive Yuan. 35th Anniversary Celebration (Celebrated by group's synchronization connection). 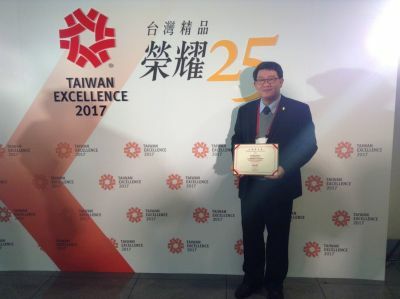 Taoyuan factory awarded the Evergreen Outstanding Enterprise by Taoyuan County Government. Medical Device Division certificated by ISO-13485 : 2003. Wuxi Moretex approved National High-tech Enterprise by the China Government. The first China regional sales meeting held in Guilin, China.